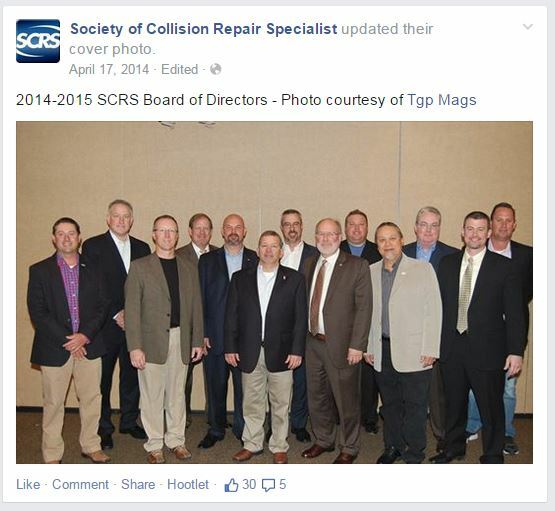 Nominations have closed for the election to the 2015-16 Society of Collision Repair Specialists Board of Directors, and SCRS members should take note of the candidates and the election rules and deadlines. Amber Alley, Calif., Barsotti’s Body & Fender manager. Mark Boudreau, Va., Spectrum Collision Center owner. Michael Bradshaw, N.C., K&M Collision vice president of operations. Domenic Brusco, Penn., PPG senior manager of industry relations (incumbent). Bruce Halcro, Mont., Capital Collision Center owner (incumbent). Paul Sgro, N.J., Lee’s Garage. Read more about them and what they’d like voters to know here or at the end of this article. The top four vote recipients will win the posts. Members are elected to three-year terms. Besides Brusco and Halcro’s posts, the other seats being decided are held by Jim Sowle of Sewell Lexus and C.J. Vermaak of Dan’s Paint & Body, who are not running for re-election. SCRS will hold the election April 7 at 5:15 at the Crown Plaza Ravinia in Atlanta, home of the Collision Industry Conference that week. 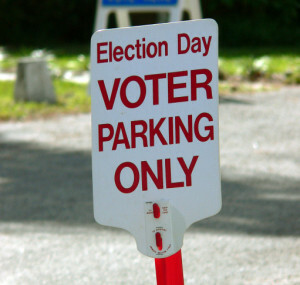 Voters must be present and be paid up in their SCRS dues. Any active SCRS member or representative of a company or state association affiliated with the trade group may and is urged to vote. Applications to represent a company or state organization must be received by SCRS by the end of business April 1. Get them here. In 1994 I was just out of high school and was told by my family to, “GET A JOB’. By sheer luck, I applied and was hired at a small body shop in San Francisco answering the phones and handling the paperwork. I found it to be a fascinating business. I was fortunate that my employer recognized my interest and he began to teach me the business. While continuing my college education in the evening, I worked my way up to parts assistant manager, then to estimator and finally to assistant manager and was able to help grow the business to a large DRP facility. When that body shop was put up for sale in 2003, I obtained a position as an estimator at Barsotti’s Body & Fender in Marin County, just north of San Francisco. In 2008, I was offered the position of manager. In 2008 we had one factory certification, Audi. Although the company had a large investment in tools, equipment and training, the specialty work was only 2% of our sales at that time. I did, however, realize that these types of repairs would become the wave of the future. I developed a business model with the main focus on pursuing specialized certifications and all that entails. We are now a factory-certified collision facility for Audi, Aston Martin, Ford, GM, Infiniti, Jaguar, Land Rover, McLaren, Mopar, Nissan, Porsche, Tesla, Volvo, Volkswagen and soon to be Lamborghini. We have a strong policy of promotion from within. In 2008, I established an in-house apprenticeship program to train those individuals willing to work hard and learn the skills necessary to produce quality repairs. Currently, we have 5 lead technicians that began working at Barsotti’s Body & Fender at an entry level. We are located in a very affluent area and the majority of the repairs we perform are on luxury vehicles. The owners demand professionalism and repairs of the highest quality. We work every day to earn their trust. Since I have been in a small business management position, my focus has been on mentoring young talent, learning about evolving technology, improving customer relations, building business growth and promoting the highest standards for our repairs. Collision repair is an industry that I love and it has provided a good living for me and my daughters. They are now at an age that I can travel and become more involved in promoting our industry. With the experience I have gained over the years, I would like to use that knowledge, along with others in our industry, to see that the collision repair business is regarded as one of professionalism and integrity. I feel that being on the board of SCRS will allow me that opportunity. Mark Boudreau opened Spectrum Collision Center in Arlington, Virginia in 1992, just a few weeks after graduating from Virginia Commonwealth University with a degree in Marketing and Finance. The unique and challenging aspects of the collision repair industry became quickly apparent and led to participation in Washington Metropolitan Auto Body Association (WMABA), where he joined the board in the mid-1990’s and served on the executive committee through the late 90’s and 2000’s, including serving as the president of the association. During his tenure on the board, he was instrumental in crafting, lobbying and obtaining passage of legislation in Virginia of stricter anti-steering legislation and changes to the tax code allowing repairers to collect tax on refinish materials. Passionate about his business, consumers’ rights to high quality repairs and the collision repair industry as a whole, Mark has dedicated his professional life to the advancement of all three. Today, Mark serves on the board of WMABA, I-CAR ISAC, the Arlington Career Center (which he guided through NATEF Certification) and the day to day operations of Spectrum. As a second generation shop owner committed to training, Spectrum has been an I-CAR Gold Glass facility 14 of the last 15 years and Mark maintains ASE Master Collision and Refinish Technician status. He lives in Alexandria, Virginia with his wife Leah and sons Henry (eight) and Max (seven). Michael grew up in the collision repair industry, learning the business from his mother, Meredith Bradshaw, and father, Kevin Bradshaw who, together, founded K&M Collision in 1991. Their collision repair facility was founded on the principle of always placing their customer’s best interests first. From the beginning, they have dedicated themselves to collision repair at the highest level of quality. As Vice President of Operations, Michael Bradshaw realized that K&M Collision’s repair philosophy was an ideal fit for manufacturer certification programs, and revolutionized the company’s business model. With certifications from over 15 manufacturers such as Porsche, Audi, and Volkswagen, K&M Collision has leveraged its core principles of factory-correct repairs into growth that has seen the company’s gross sales double, year-over-year, three years running. K&M Collision is recognized as an I-CAR Gold facility and Michael himself is I-CAR Platinum certified, as well as a certified technician by multiple manufacturers. Michael believes that training and education empowers shops by helping them stay on the cutting edge of modern automotive technology. He looks forward to the opportunity to work with other repairers as a board member at SCRS, to develop resources and strategies that benefit all of its members. Michael is at the forefront of an effort in North Carolina to establish an auto body association affiliated with SCRS to further support these goals. Domenic’s interest in the automotive industry began as a child while helping at his family’s service station. Later, as a young man, he established his skills as an automotive body technician and painter. Since then, his industry interest has remained strong and has driven his 35-year career in professional aftermarket product sales, automotive coatings and industry relationship development. For the past 28 years, Domenic has worked in the automotive and industrial coatings industry for PPG. He joined PPG in 1988 as a refinish territory manager in Boston, Massachusetts and has held several sales and management positions of increasing responsibility; including OEM and dealer business development manager, insurance and services market manager, regional sales manager, CEI insurance services director, and his current role of Sr. Manager of Industry Relations. Domenic’s talents have been utilized through his knowledge of the collision industry, high profile client relationships and strategic business solutions. His drive, performance, expertise and reputation as a consistent industry achiever have led him to continual growth at PPG. In his current role, Domenic is PPG’s lead liaison for industry stakeholders, including the various collision repair associations and insurance and information providers. He works with various industry leaders to identify and seek solutions to business challenges that the automotive aftermarket industry faces. Currently, Domenic serves on the Board of Directors and Vice-Chair of the National Auto Body Council (NABC), is a Trustee and Treasurer of the Collision Repair Education Foundation (formerly I-CAR Education Foundation), is a multi-year Gold Pin member of CIC and a member of the Society of Collision Repair Specialists. Domenic studied business management and computer science at Indiana University of Pennsylvania and resides with his family in Pittsburgh, Pennsylvania. I started in the Collision Repair Business over 37 years ago – first by attending a trade school in Great Falls, Montana. I started in a shop sweeping floors, serving an apprenticeship, working as a collision tech, then managing dealership body shops and eventually owning my own shop, Capital Collision Center. I find the changes in our industry challenging and exciting and have always felt a need to be part of this industry beyond my own shop. I have been attending Montana Collision Repair Specialists (MCRS) meetings for over 28 years and have been on the Board for 8 years, the last 6 as President. MCRS in the last several years has experienced consistent growth which we attribute to being an association that provides relevant training to our members and also our successes at the Legislative level. The last 5 years I have spent on the SCRS Board has been an honor, not only to serve with very dedicated Industry leaders, but to know that I am part of an association that exists for the greater good of the collision repairer. I am very passionate about this industry and I believe that being from a unique market area brings a different perspective to the SCRS Board. My career in the automobile collision repair industry spans over 35 years. I was exposed to the world of automotive repair as a child; and my love for automobiles and the passion has never wavered. Since 1981, I have led the organization from its humble beginnings to recognition as a national leader of advanced collision repair and paint processes. The company is acknowledged by numerous elite vehicle manufacturers for meeting their standards of repairs, equipment and training. Emphasis is placed on lean processing of repairs and shop efficiently. Continuing efforts with these goals in mind is a work in progress. I presently serve on numerous elite manufacture collision advisor boards to better understand the direction that our industry is going. I am also very involved in my community and have served for many years on the Monmouth Beach Board of Education as board President and on my church council as Chair. I am considered a forward thinker and have been chosen to spearhead numerous borough projects. My wife and two children live in Monmouth Beach and remain active in our community. I have a positive attitude about life and I consider adversary a challenge for improvement.